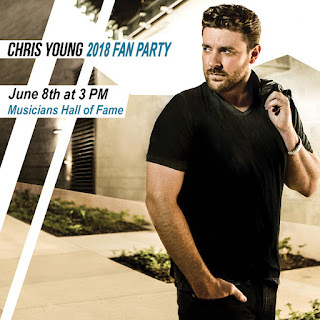 Chris Young Fan Club Party Tickets Auction to Benefit Waiting for Wishes! The Kevin Carter Foundation is auctioning a Chris Young Fan Package that includes 2 tickets to his SOLD OUT fan club party in Nashville during the 2018 CMA Music Festival. Proceed from the auction benefit Make-A-Wish® Middle Tennessee, raising funds funds to help grant the wishes of children with life-threatening medical conditions. Click here to place your bid now!